If you have been to a travel conference or trade show of any kind, you know that you will walk out with stacks of business cards. Everyone you meet gives you one. So if you are like me, you put a rubber band around them and throw them in your luggage. Then what do you do with them? First, you need to spend a few minutes organizing them. Pull out the handful of cards you need to follow up on right away. These high priority cards are obvious. Maybe you discussed specific plans with them when you met them at speed dating, or you talked to them at a party and you know you want to pitch them quickly. Set those aside to work on as soon as possible. The sheer amount of business cards remaining can be intimidating, so let’s break them up into groups. You don’t have to spend a lot of time thinking it over. Break them out into manageable groups by whatever way makes sense to you. My suggested groups would be other bloggers, brands, and destinations. Because you are a travel blogger, I’m going to make the assumption that you do not want to continue to carry around an ever growing stack of business cards, even if they are in manageable groups. That’s ok! They are hard to deal with in this form anyway. You need to digitize them! There are all kinds of ways to do this. You could buy software made for content management, scan them or photograph them and keep them as image files. I found that these options weren’t the best option for me and went a different way. I set up spreadsheets in Google Documents. Not only are they easily accessible to me from any computer anywhere, but I can share them easily. You need to do what will work best for you, but maybe my method will help you get started. I have one spreadsheet specifically for brands and one for other bloggers. To handle organization of destinations, hotels and PR companies, I need a more complex system. I have a spreadsheet for every region of the world (e.g. Africa, Pacific, Middle East). I also have separate spreadsheets for the US and Canada. I set up tabs for the countries in the region (or states/provinces). Within each country tab, I list the contacts for that country. I list their name, title, what type of agency they are with (e.g. hotel, DMO, tour operator), the name of their agency, their location within the country, their email address, comments and whatever else I feel might be necessary. If they are a PR company that reps multiple clients in multiple countries, I copy and paste their information into all applicable tabs. It might be a little work on the front end, but I have found this to be time well spent. When I need to access contacts later, I can do so easily with this method. If I’m planning a press trip, I can quickly pinpoint the people I have met and I can contact them personally to assist me. 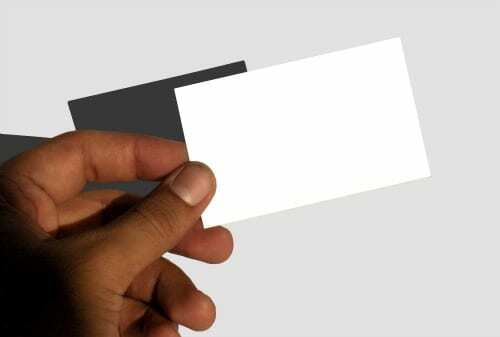 You can choose to hold on to the business cards or toss them after digitizing them in whatever method you choose. I hold on to them, but I’ve yet to physically access the ones I’ve kept in my files. I’ll most likely throw them out in the near future. Don’t forget that the most important rule of networking is to build relationships. If you place a contact in your spreadsheets and never reach out to them, when you do need them they might have moved on. Taking the time to follow up can help you gain opportunities you might otherwise have missed. Amy Moore is the General Manager of Everything-Everywhere and blogs about family travel. Hear about “Creative Pitching for Experienced Travel Bloggers” in Amy’s session with Ryan Levitt. If you are interested in extending your Google Social Search reach then it is a great idea to upload your business cards contacts from the Google Docs to your gmail account. Then organize the contacts into circles. This is an easy way to follow up with everyone on a regular basis by posting to the contacts through Google Plus. The more contacts you have in your gmail account increases your Google Plus Profile Rank. You will show up in your gmail contacts social search plus their contacts too thereby increasing your reach. The more important the person and their personal network, the more your Google Social Search power multiplies. Who you follow and circle is very important. I currently have 6,000 contacts in my gmail accounts. This has given my main Google Profile a PR 2. In order to increase your reach you are welcome to add me to your circles. Looking forward to meeting you at TBEX. Great tips Amy! Will take them on board when we attend our first Tbex in Dublin! What a great tip! I am just going through my TBEX business cards and will start to follow your recommendations right now. Thanks, Amy.